Entre Nous is a hanging costume that welcomes viewers to enter it. 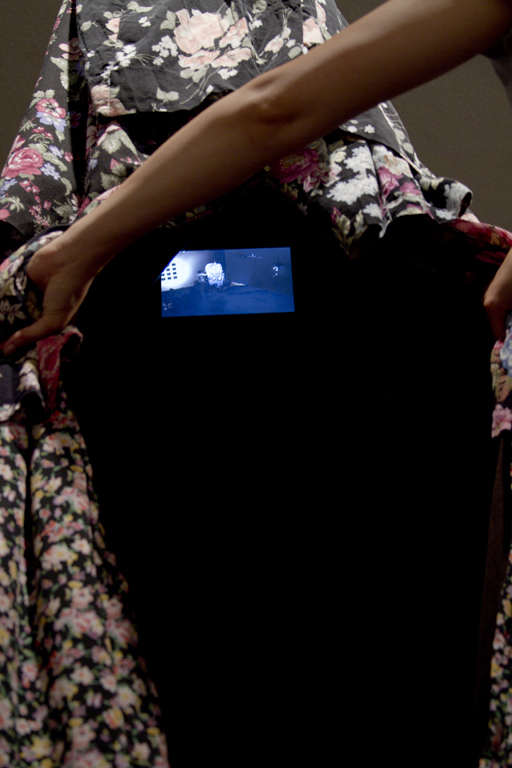 When inside, the viewer is met with an image of his or herself delivered through a closed caption television inside the costume. 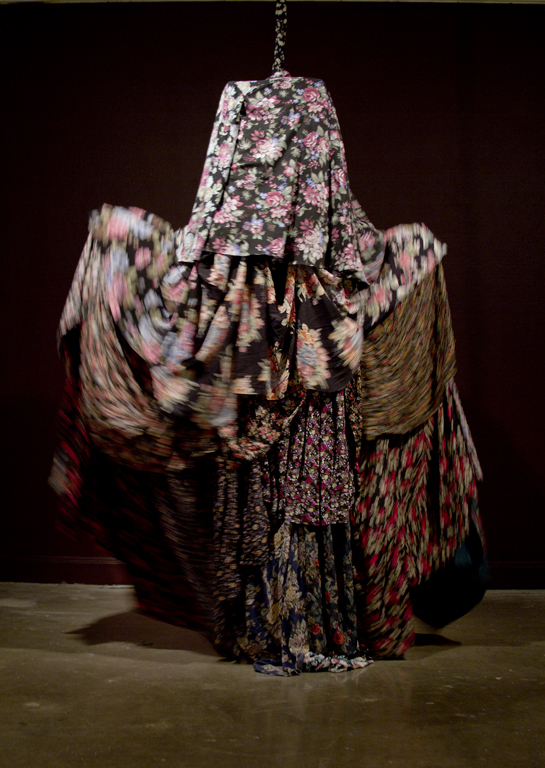 The person inside the costume witnesses an omnipresent view of the costume and its surroundings through a wide-angle lens security camera. 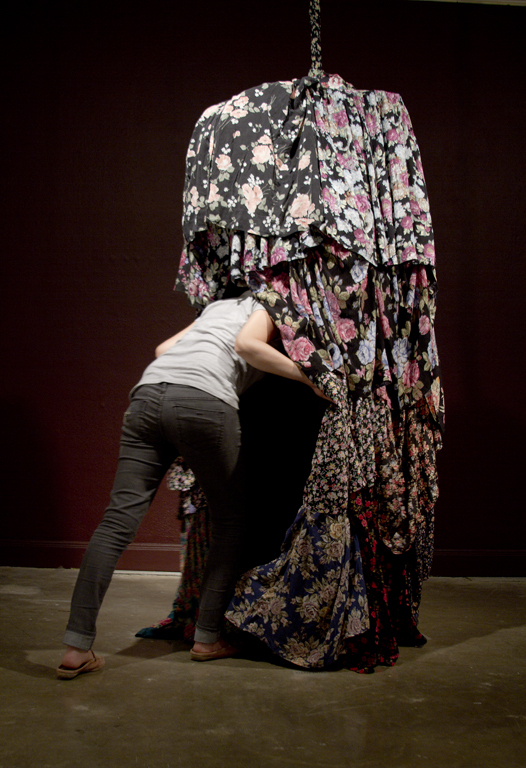 While the person inside transforms into an object of fixation, he or she is also watching those who watch the costume. In response, the person inside can perform, pretend he or she is not there, interact with others, or even take part in a little trickery at the expense of the viewers.